The Great Debate became The Great Debacle. As I listened to the debate on the radio driving home from work, I found myself utterly frustrated by the dismal performance of Donald Trump. I pictured myself on that stage debating Hillary Clinton and found myself effectively articulating a much more coherent argument from behind the wheel, than Mr. Trump did at Hofstra University. It was a night of lost opportunities. There were many listening and watching tonight for the first time. Unlike myself, most people aren't really tuned in and engaged in politics and foreign policy issues. Most Americans have other things that capture their time and attention. Tonight was an opportunity for both candidates to reach out to these folks. Unfortunately, what Mr. Trump failed miserably to grasp, is that which Ronald Reagan knew instinctively. You need to eloquently articulate a logical and realistic alternative to your opponent. 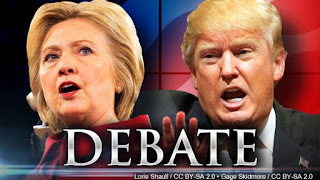 As Monday night approaches, with the much anticipated first debate between Hillary Clinton and Donald Trump, it is a perfect time to put it in perspective and offer a preview of what to look for as you watch. 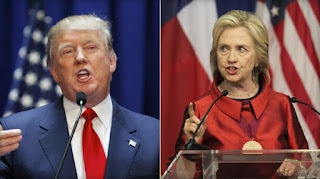 The idea of a televised presidential debate is a relatively new phenomenon. The first televised presidential debate took place in 1960 from Chicago and pitted a young John F. Kennedy against an aged Richard Nixon. To those that only listened to the debate on the radio, most felt Nixon won. Those Americans that watched it on television though, saw it very differently. Most saw a rather tan Kennedy beat a pale and disheveled Nixon. The images of that first debate most likely tipped the election in favor of JFK. Nearly six percent of the voters said that the debate decided their vote. Clearly, images make a lasting impression. That is the power of television. There are moments that can make or break a presidential candidate and set them up for victory or defeat in November. September 11th: Fifteen Years Later, Have We Forgotten The Message That Was Sent? Today marks the fifteenth anniversary of the horrific attacks of September 11, 2001. I remember that day vividly. It was surreal for me. I was in Rock Falls, IL that day and a mentor and trainer for Schwans Home Service. The day became less of a training day and more of a day of questions about what was happening. What was the reason for these attacks? Why would someone do this? Who is responsible for this kind of terrorist attack? Are there more attacks coming? All great questions that are just as applicable today as they were fifteen years ago. 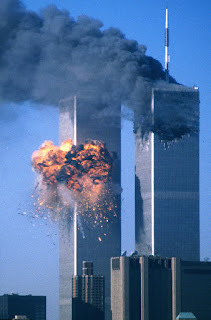 Have we forgotten the message that was sent to us that day? 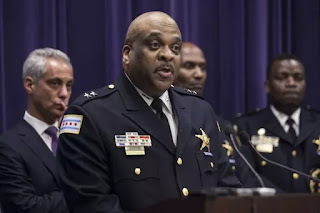 "It's not a police issue, it's a society issue," Johnson told reporters outside police headquarters after a long weekend that saw 65 people shot, 13 of them fatally. The long Labor Day weekend is normally a fun and joyous last hurrah to summer. But in Chicago, it was just a continuation of a long and deadly year. The weekend saw 65 people shot and 13 of them were killed. Tragic in any city in our nation, but doubly tragic in Chicago. Chicago has now had 500 homicides in 2016, and it is only early September. That breaks down to 63 homicides a month. That means every day in Chicago, there are two people killed. More appalling, Chicago's homicide count is more than New York City and Los Angeles combined. The numbers are staggering. The question is, do black lives really matter?